Do you need one place to write down your personal prayers and prayers for others? 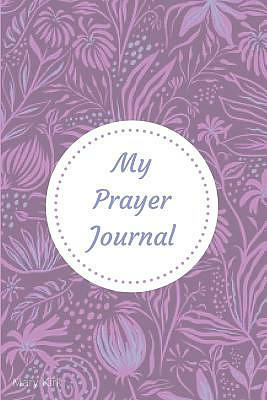 This is convenient and engaging prayer journal is just for you. It also makes a wonderful gift. In the beginning of the journal, you have sections for: -Letter to God-Notes-Prayer of Praise-Thank You NotesThe specific prayer pages have a space for: odate of your prayer request, oname of the person (or for yourself), othe situation or issue and, oScripture that corresponds to your prayer request. The second page allows you to write down your prayer of praise for God having answered your prayers in advance. Also, there's a section for journaling God's answer to your prayer. This journal will help you to build a regular prayer life. You have the ability to look back and see how God has truly blessed you and others. Get your copy today to start on this wonderful journey of prayer and praise. My Prayer Journal: 6" X 9," Guided Prayer Journal, Lined Pages, Add Corresponding Scripture, Prayer of Praise - Lavender by Kirk, Mary was published by Independently Published in August 2018 and is our 67909th best seller. The ISBN for My Prayer Journal: 6" X 9," Guided Prayer Journal, Lined Pages, Add Corresponding Scripture, Prayer of Praise - Lavender is 9781719953405. Be the first to review My Prayer Journal: 6" X 9," Guided Prayer Journal, Lined Pages, Add Corresponding Scripture, Prayer of Praise - Lavender! Got a question? No problem! Just click here to ask us about My Prayer Journal: 6" X 9," Guided Prayer Journal, Lined Pages, Add Corresponding Scripture, Prayer of Praise - Lavender.